Do you guys even purchase Deals and Bundles? 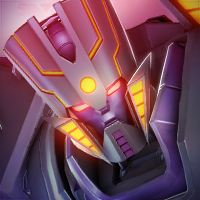 Where is Scorponok's Intel Report? Have anyone ever pulled the Paralyzer Mod? Why can't sell Signature Upgrades? Base Buildings Cannot be Accesed! No Medal Show in Base Screen? Get ready for (TMTLS) Transmetals Alliance with the (TMTL1) Transmetals Academy! The lost Raid Store items! "The Last Knight" battle Map being used too frequently! Transformers Forged to Fight Fanon Wiki? Current Relic system is cheap! What will happen now that Bayformers are (fortunately) over? Are we ever getting old Arenas back? No Custscene After Act 3? Comic story cutscenes going black? [TAG-1] Earth Defense Command is searching for new members! Will Sharkticons be playable Bots futurely?